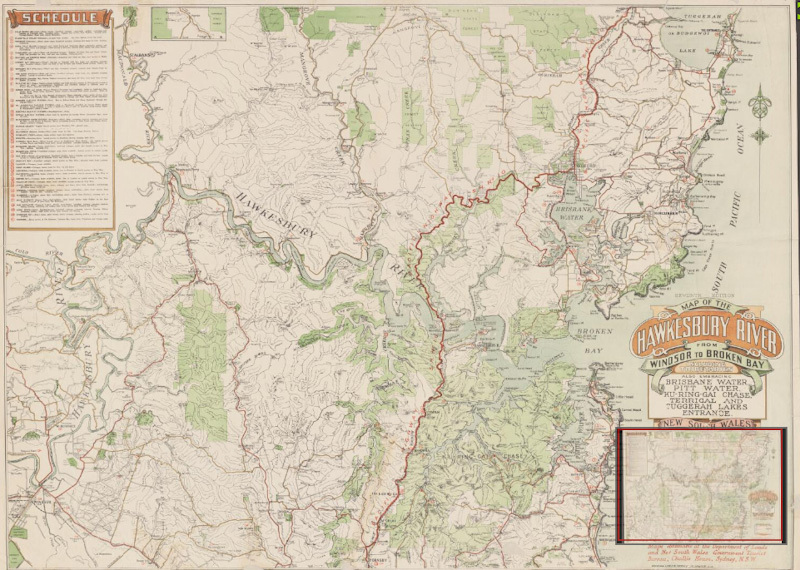 This guide was created to assist students find archival maps of river systems in NSW and also to find information about the undergrounding of creeks in the Sydney metropolitan area. This guide was created by david.litting@uts.edu.au , please contact him if you need personalised assistance. Google is your friend when it comes to finding historic maps of river systems. There is a fair bit you can get online (though not always in large formats or high quality). If you are prepared to go and visit institutions like the State Library or the Hawkesbury local library then your reach will be extended even further. Start simple - eg: Hawkesbury nepean map - and then flip the search over to images. If you want to restrict to more historical content add words like archival or historic to the search. When you exhaust what can easily be found this way try adding the names of the large archival institutions to your search. Eg: Hawkesbury map state library / Hawkesbury map national library / Hawkesbury map state archives / Hawkesbury map department of lands. Best results are found by searching for large areas like Sydney or New South Wales. The maps have a timeline restruction option that you may find useful. Hawkesbury Public Library has a map collection too, though you would have to go there to see them. To find maps, go to the library catalogue above and search for RLM which is the call number for maps. Has some resources on the Hawkesbury Nepean too. Does contain old maps, though I personally didn't find much usable content there.